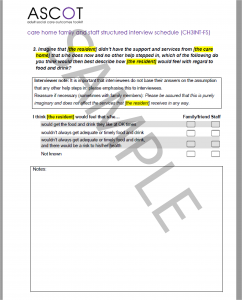 Home » Which ASCOT tool should i use? Which ASCOT tool should i use? 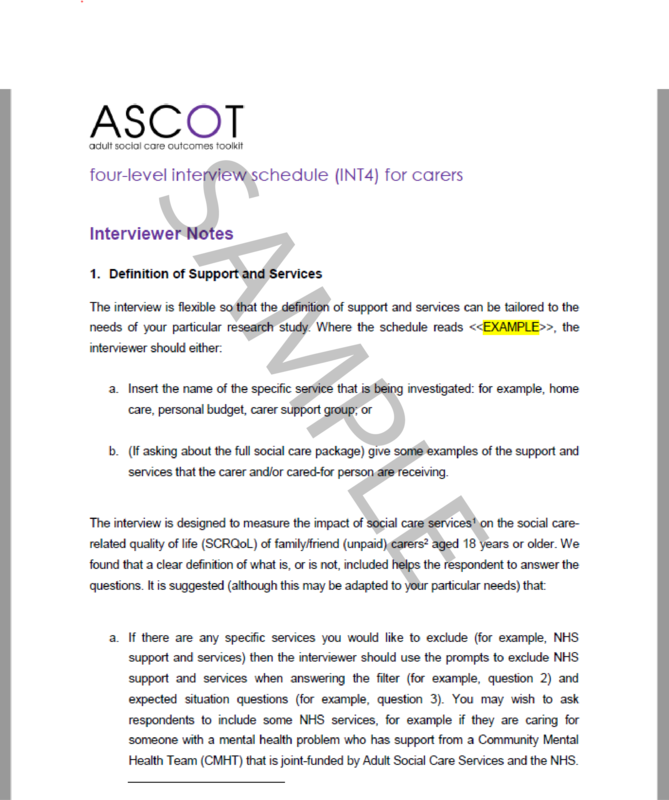 The ASCOT tools are grouped into the five categories you see below, click the headings to expand. Watch the video opposite for guidance on which ASCOT tool is best suited to your needs. 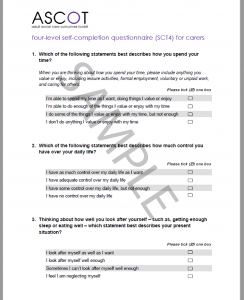 A four-level self-completion instrument that measures current SCRQoL in community settings. 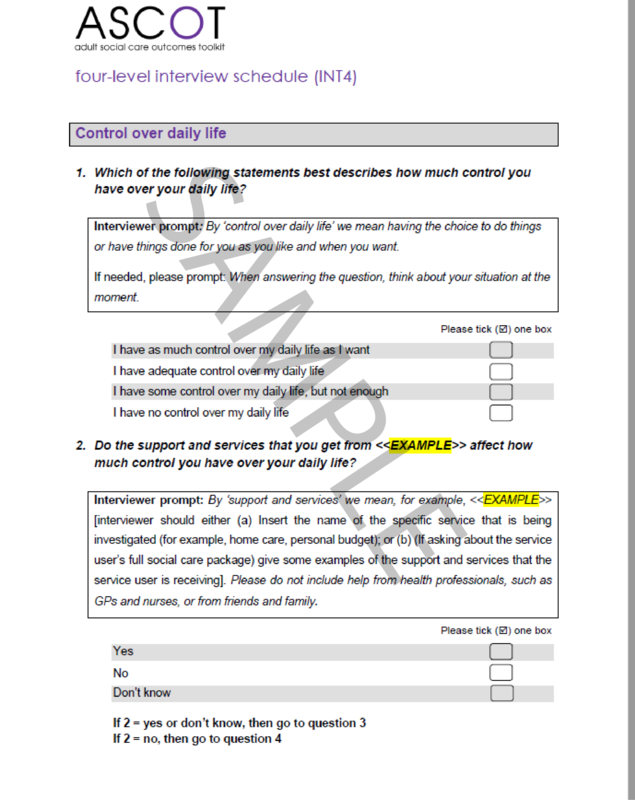 It is suitable for use in surveys and can be preference-weighted. If you would like to obtain a copy of this instrument, download, complete and return our registration form to ascot@kent.ac.uk. 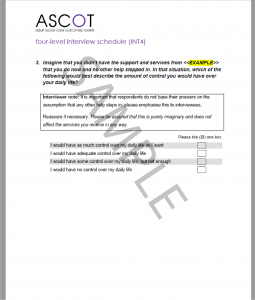 Please keep a copy of the completed registration form, as upon approval from the ASCOT team, together with the terms and conditions of use, it will form your licence to use the tool. 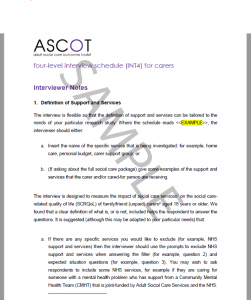 If you use this tool, please reference it in any publications from your project/research as described on our How to reference ASCOT page. 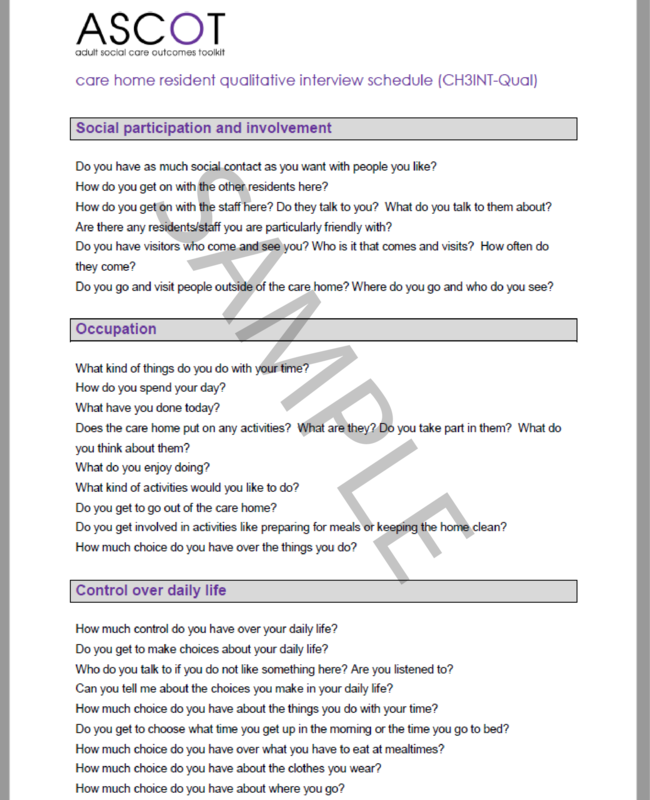 A four-level interview instrument that measures current and expected SCRQoL in community settings. 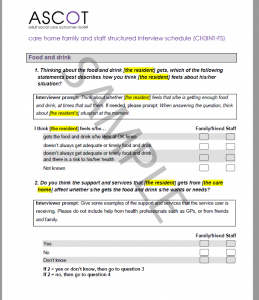 It can be used to measure the impact services have on service users’ outcomes (gain). 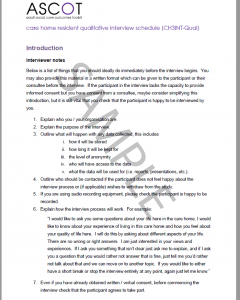 It is suitable for face-to-face interviews and can be preference-weighted. 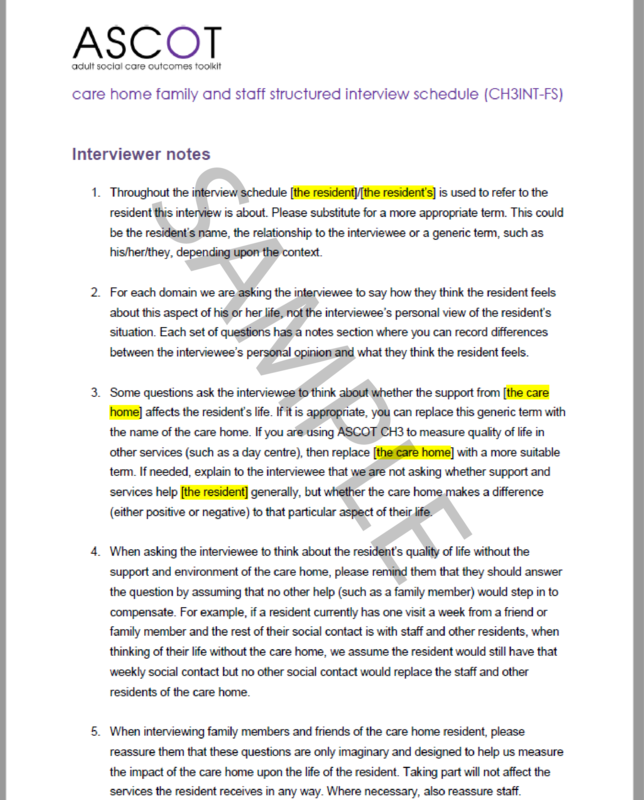 A suite of mixed-methods tools which generates current and expected SCRQoL based on observations and interviews for use in communal living settings. 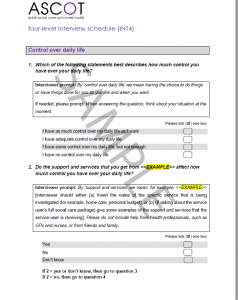 It can be used to measure the impact services have on service users’ outcomes (gain). Only for use by trained users (for upcoming training dates, see the Training and Events webpage. 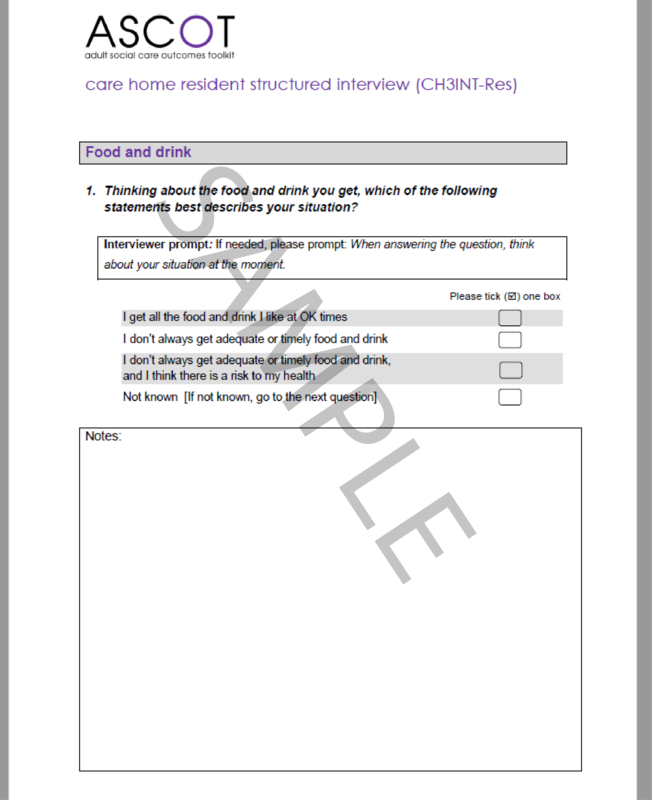 It can be used to measure the outcomes of people with cognitive impairment (e.g. 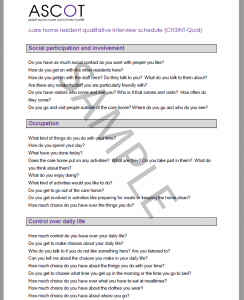 dementia) and communication difficulties. It can be preference-weighted. 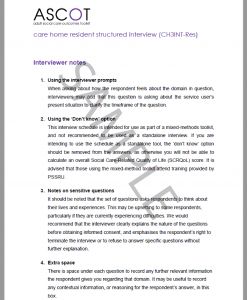 A three-level structured interview schedule for use with residents in communal living settings. 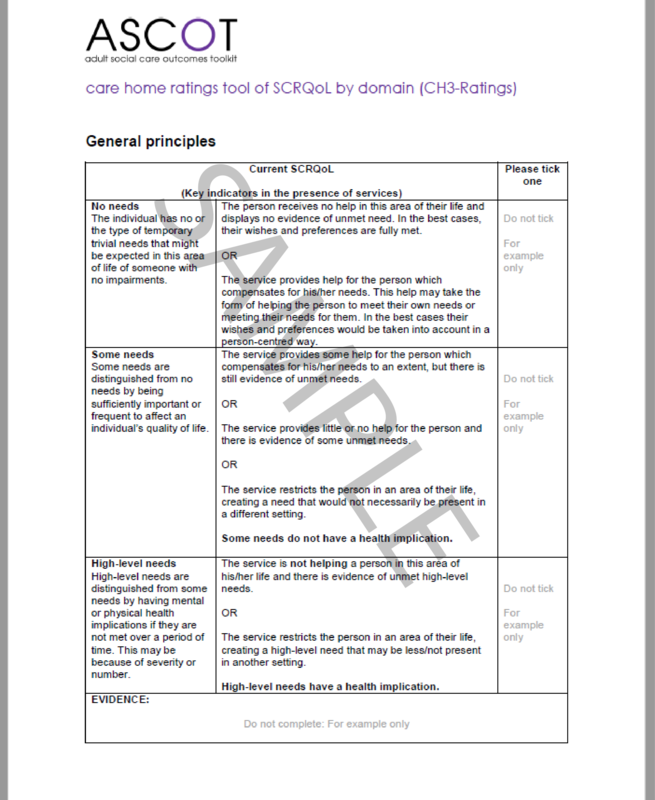 The tool is designed to be used in conjunction with other CH3 tools to derive SCRQoL ratings and is not routinely available as a stand-alone measure. 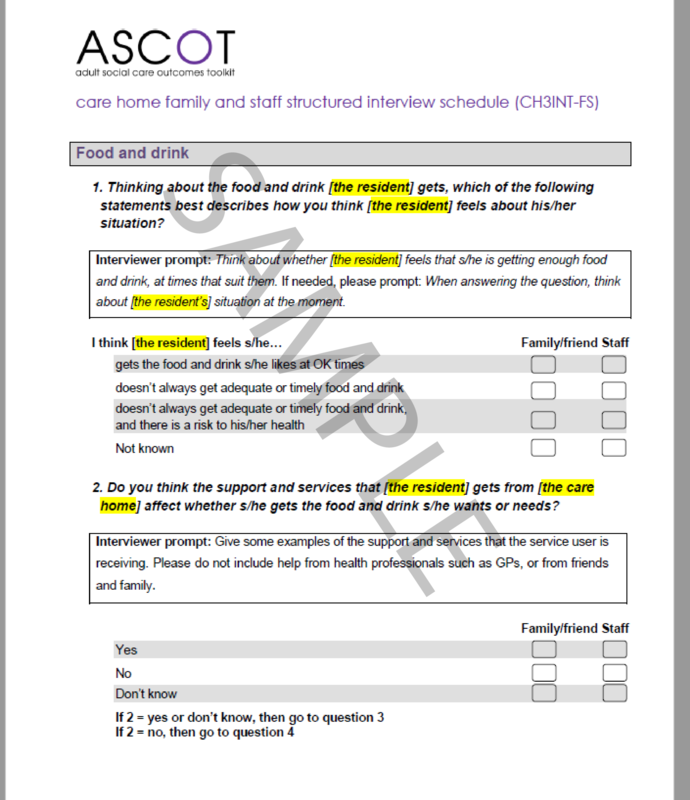 If you would like to obtain a copy of this instrument, download, complete and return our registration form to ascot@kent.ac.uk. 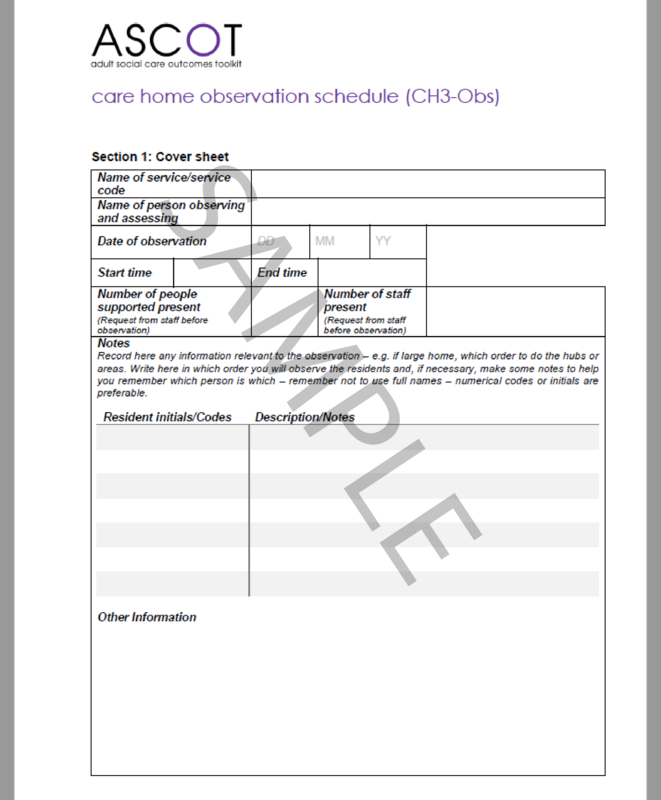 Please keep a copy of the completed registration form for your records (it will be part of the licence when granted). 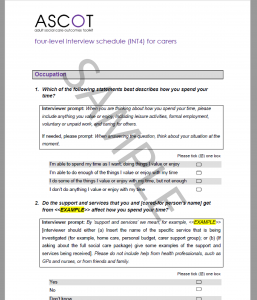 Please note that you must be licensed to access and/or use the CH3 tools; licence is conditional on completion of a CH3 training course by the ASCOT team. For upcoming training dates, see the Training and Events webpage. 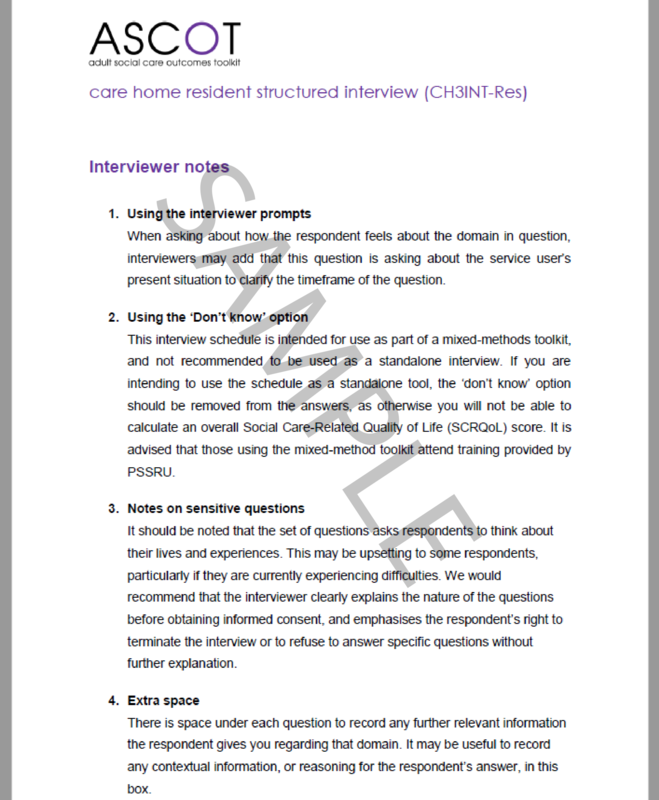 A three-level structured interview schedule for use with family members of residents in communal living settings and/or staff. 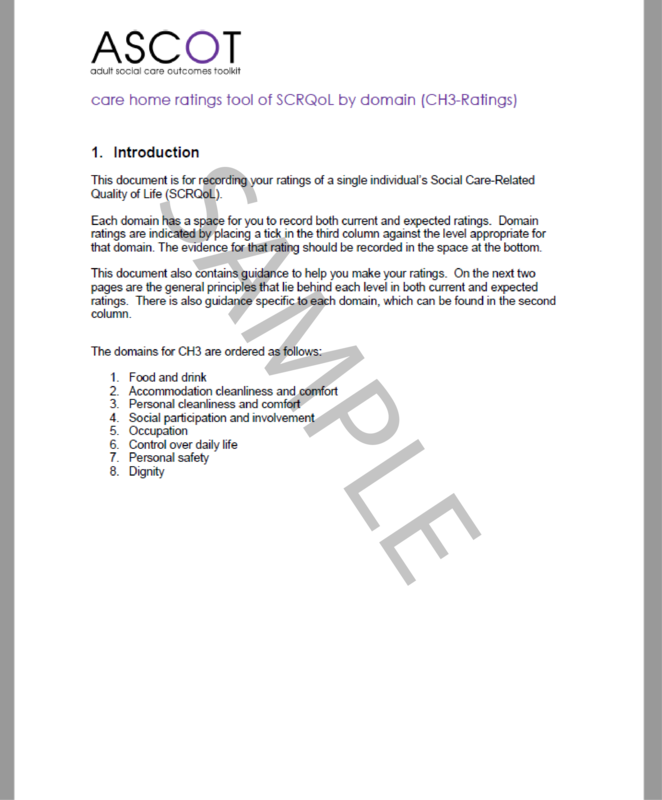 The tool is designed to be used in conjunction with other CH3 tools to derive SCRQoL ratings of residents in communal living settings and is not routinely available as a stand-alone measure. 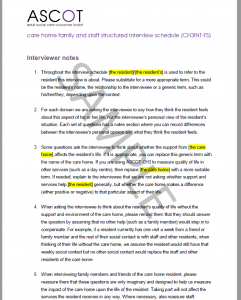 A three-level qualitative interview schedule for use with residents in communal residential settings. 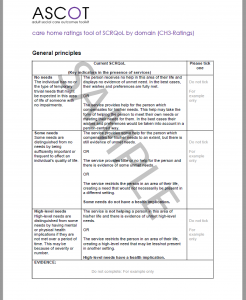 The tool is designed to be used in conjunction with other CH3 tools to derive SCRQoL ratings and is not routinely available as a stand-alone measure. 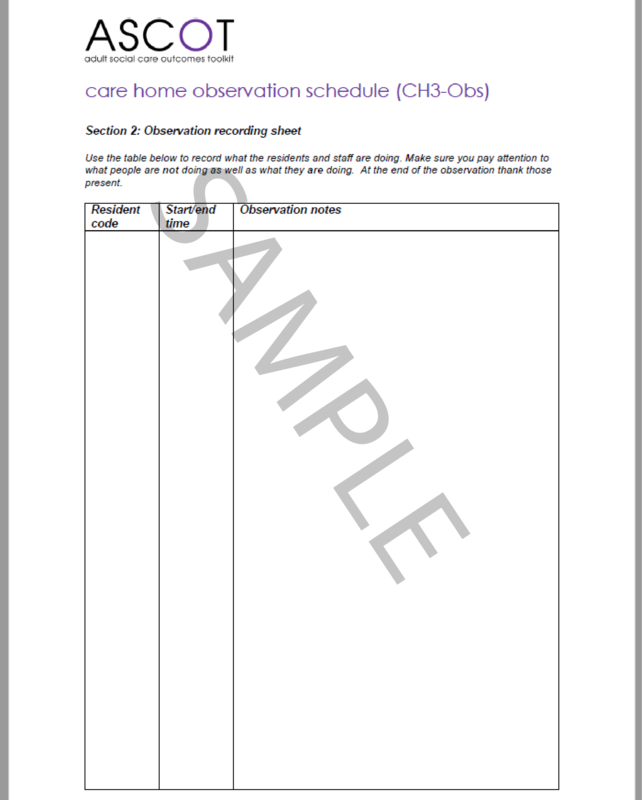 An observation schedule for use in communal living settings. 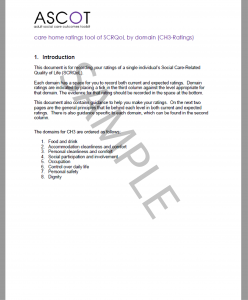 The tool is designed to be used in conjunction with other CH3 tools to derive SCRQoL ratings for residents in communal living settings and is not routinely available as a stand-alone measure. 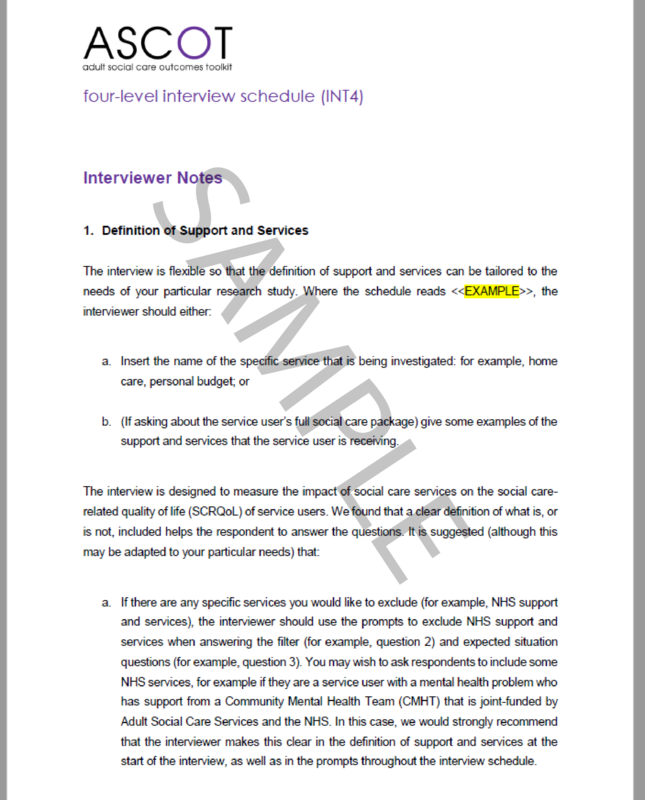 A three-level rating schedule used by accredited CH3 users to make ratings of current and expected SCRQoL based on the evidence collected using the other CH3 tools (CH3INT-Res, CH3INT-FS, CH3INT-Qual & CH3-Obs). 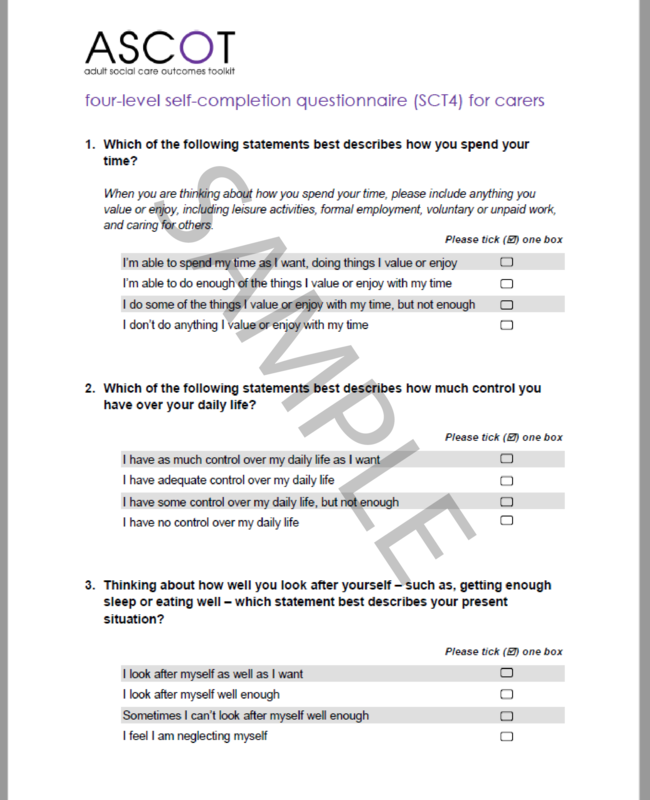 A four-level self-report version for family/friend (unpaid) carers that measures current carer SCRQoL in community settings. 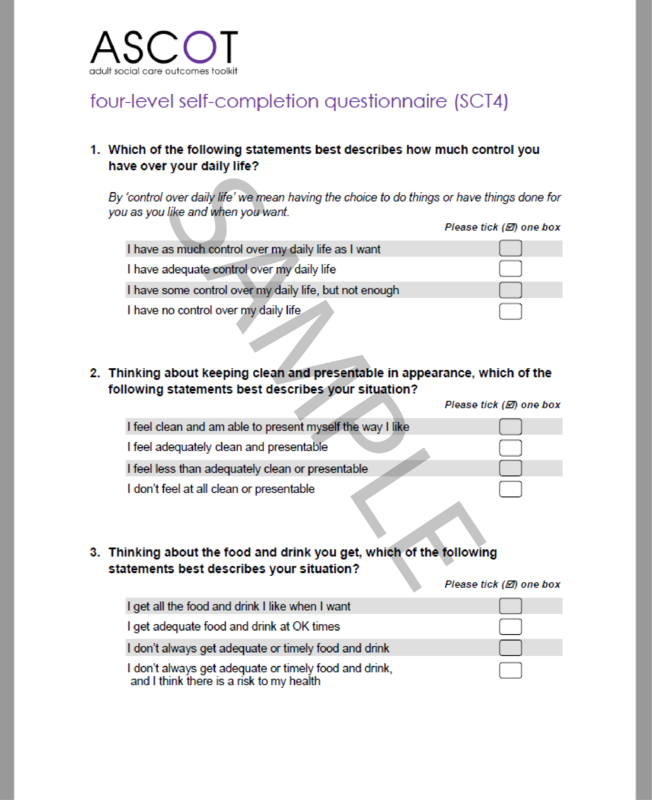 It is suitable for use in surveys but is not yet preference-weighted. 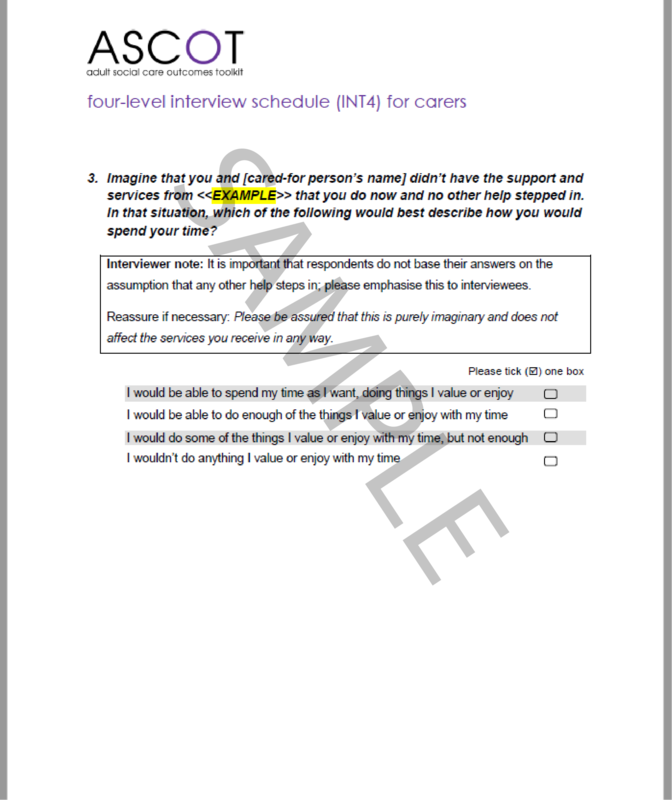 If you have any queries about the Carer tools, watch the video opposite. 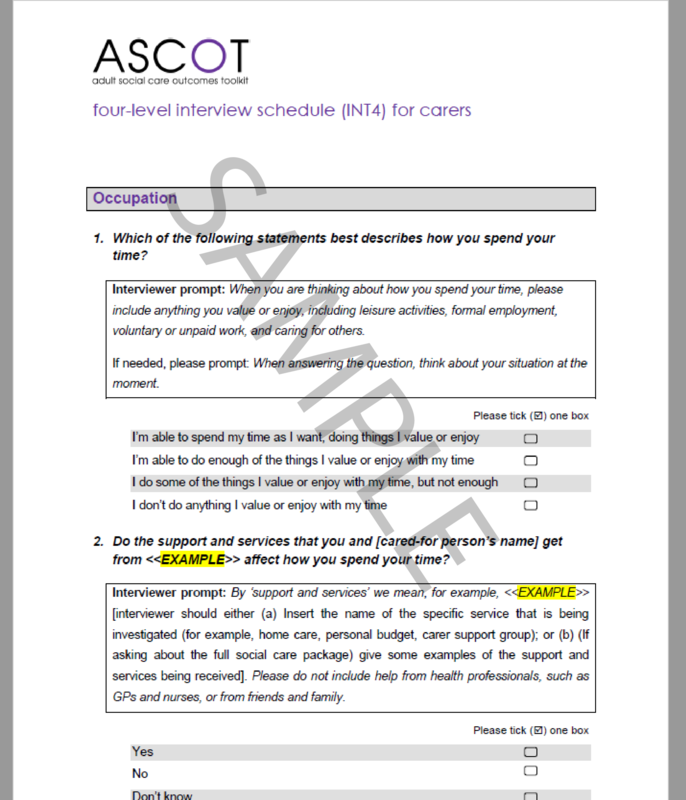 A four-level interview version for family/friend (unpaid) carers that measures current and expected carer SCRQoL in community settings. 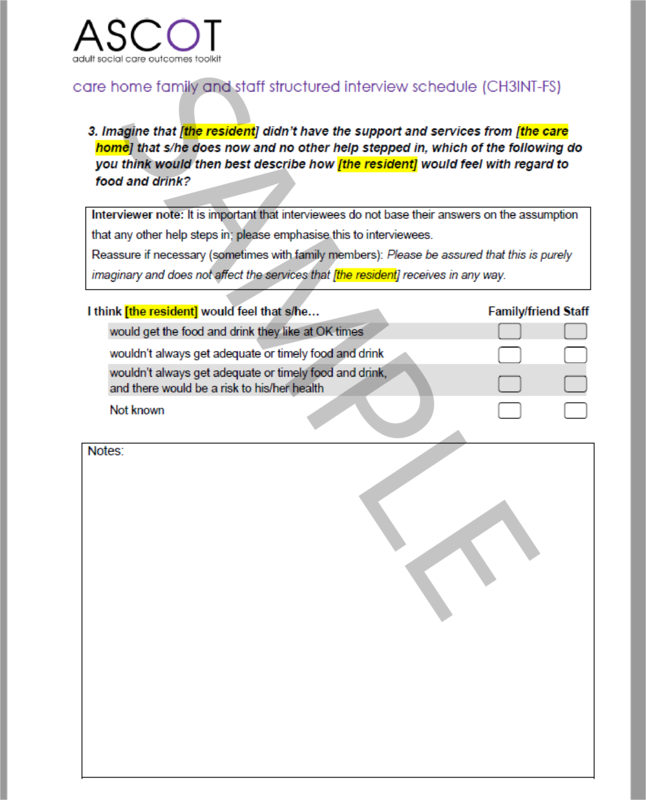 It can be used to measure the impact services have on carers’ outcomes (gain). 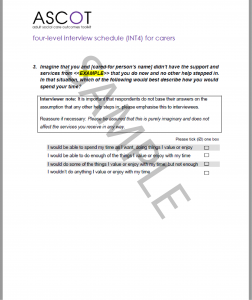 It is suitable for face-to-face interviews but is not yet preference-weighted. 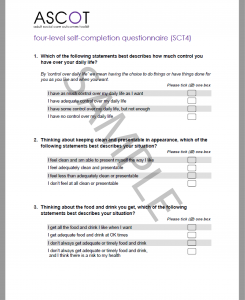 A four-level self-completion Easy Read tool (ASCOT SCT4 Easy Read) that measures current SCRQoL, designed for people with intellectual disabilities and/or autism. 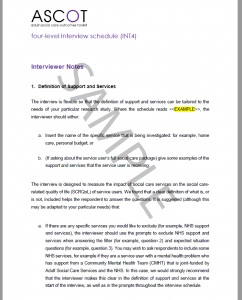 The tool has been cognitively tested with service users and is being piloted for psychometric testing. 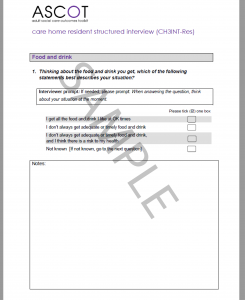 It is suitable for use in surveys but is not preference-weighted. If you have any further queries about this tool, watch the video opposite. 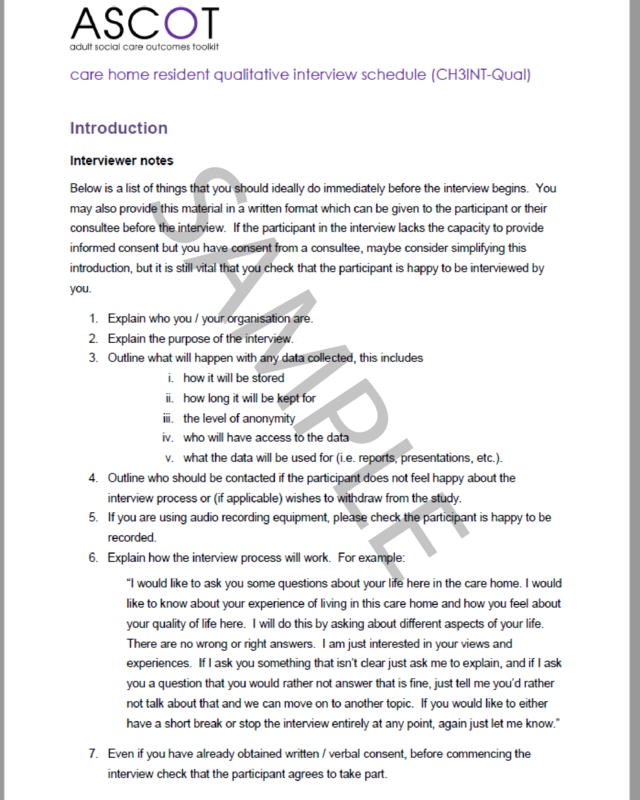 If you would like to obtain a copy of this instrument, download, complete and return our registration form to ascot@kent.ac.uk. 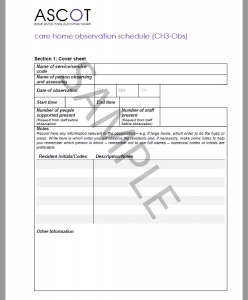 Please keep a copy of the completed registration form, as upon approval from the ASCOT team, together with the terms and conditions of use it will form your licence to use the tool.